The Chicago Tribune puts the precise number at 403. Moreover, the Tribune shows that there were more shooting victims in January 2017 than in January 2016, which means last’s year carnage not only carried over into this year but increased. Breitbart News reported more than 300 people were shot in the first 30 days of 2017 alone. 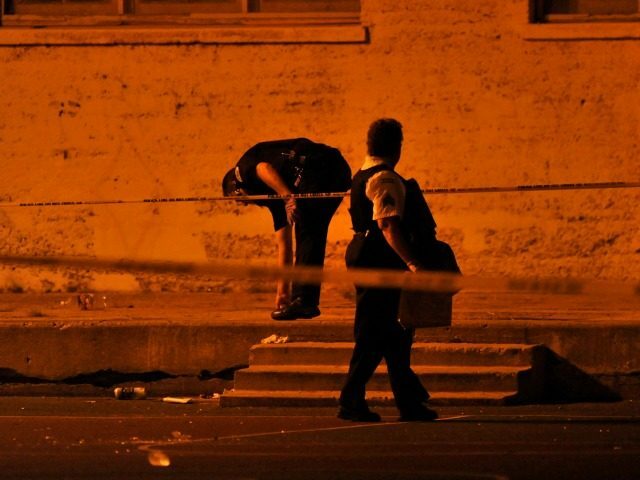 The Tribune reported 302 shootings January 1 through January 30, which is an average of just over 10 a day for 30 days. There have already been 70 homicides in Chicago year-to-date. There were 54 in the first 30 days of 2017 alone. The ATF has since been sent. In early February the agency announced it will be permanently relocating more agents to Chicago in an effort to reduce the gun crime that has overtaken the city. In reality, this is an effort to stop the violence that gun control birthed.